DIARY OF A PUBLIC SCHOOL TEACHER! 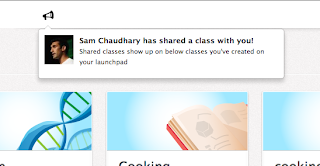 : ClassDojo's New Feature: Teacher Collaboration! One of the many reasons I am such a great fan of ClassDojo is the fact that they listen to feedback from teachers. This latest feature has been one of the most requested by teachers. It was definitely a feature I was interested in! Teachers can now collaborate! This is exciting because this will eliminate the way collaboration via ClassDojo used to work for me. Let's say I picked up my students from Art. The Art teacher would say, "Could you please give Jane a point for working quietly?" Of course, I would forget by the time I made it back to my classroom. 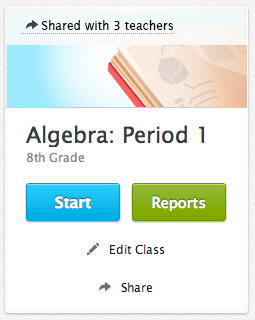 ClassDojo has added this feature which provides a way to consistently reinforce behaviors. There are two settings, "full access", and "read only." "Full access" allows for full collaboration, and "read only" allows a teacher or administrator a view of a student's behavioral progress. Let ClassDojo know how this new feature is working for you! Can I add another teacher to my class? At this time there's no way to share your class or students with other teachers or administrators like your principal or deans. The best solution we have for you is to share your login email and password with other teachers and have them login to your account. Thanks Shane. I will check it out.